Pacific Rubiales Energy Corp. is the largest independent oil and gas exploration and production company in Colombia. 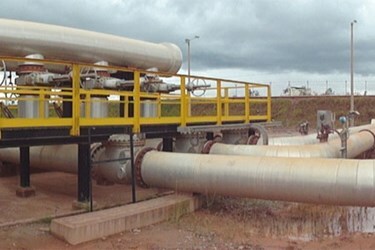 At the Rubiales oilfield, 165,000 barrels are produced daily. During the production process, natural ground water is extracted together with the petroleum i.e. produced water. Currently, Pacific Rubiales separates the produced water from the crude oil, and then disposes of it via deep aquifer injection. The treatment and disposal costs, plus environmental constraints, necessitates an advanced water treatment solution. To effectively treat the brackish water remaining from the drilling process and maximize water reuse while eliminating brine disposal, a multistage treatment plant is needed. The treatment of wastewater from onshore oil wells poses a particular challenge to water professionals. In addition to meeting strict environmental regulations, Pacific Rubiales want the treated water to be reused for irrigation. The brackish feed water contains residual oils, hydrocarbons, solids, and other contaminants, all of which must be removed before any desalination process can be undertaken. The remote location and tropical climate present additional logistical challenges.